I can't believe after 7 long months together we have gone our separate ways. I still think about you from time to time. 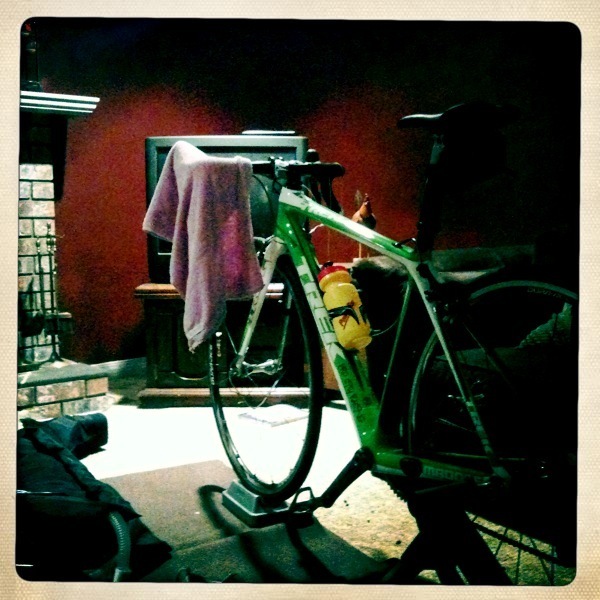 Like earlier this week, when the weather turned and coach gave me the option of riding the trainer. I just couldn't do it, it felt like betrayal. Instead, I put on my rain gear and ventured outside, remembering the good old days. Don't worry, I promise riding in the Alps pales in comparison to our thrilling sessions together. I will never forget that session when we were ten minutes late and missed the beginning of What Not to Wear. Or that day when the fan wasn't working, it was nearly pitch dark in the basement, and nothing was on tv apart from soap operas. Or the time when I broke out in full body hives as my body sweated out the medication from surgery. Of course there were the early days when our love first blossomed, when I had a cast on one arm and a sling on the other. I remember the pure excitement just being able to spend time with you.